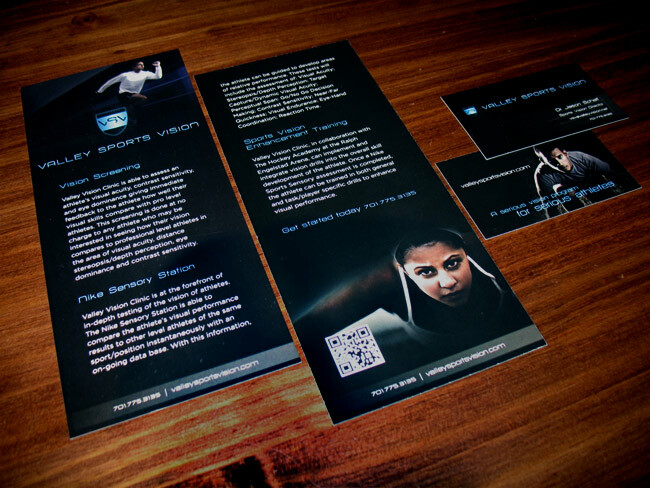 These marketing materials were created for Valley Sports Vision, a brand new branch of Valley Vision in Grand Forks, North Dakota. They came up with a new way to help athletes train and succeed, through vision tests and exercises. Their marketing needed to be sleek, professional, and sporty to appeal to their sports-driven audience.